Our fundamental products have their origins at the University of Pittsburgh. 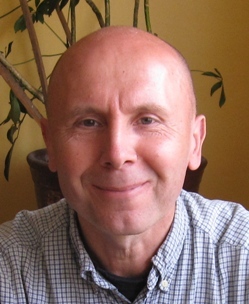 In 1995, Prof. Marek J. Druzdzel created the Decision Systems Laboratory, a research group in the School of Information Sciences (currently School of Computing and Information) and the Intelligent Systems Program focusing on research and training in decision-analytic approaches to decision support. From the very beginning, he decided that the laboratory would be developing its own decision modeling software and it would make it available to the community. Building the software was a great adventure. Decision Systems Laboratory had a good number of bright people working with it for over two decades. GeNIe 1.0 and its API, SMILE, were released in 1997. In the year 2000, we released GeNIe 2.0, a second generation of the software, including equation-based models and learning. GeNIe and SMILE have since become a standard among academic users but have also gained many industrial users. The secret to their success was their quality, both in terms of usability and friendliness of the user interface, but also in terms of the reliability of the software. GeNIe and SMILE are user friendly, very fast, and rarely crash. The Decision Systems Laboratory did very well in the software speed competitions organized by the Annual Conference on Uncertainty in Artificial Intelligence. In the 2006 competition, SMILE turned out to be not only almost two orders of magnitude faster than the other four participants — it was faster on almost all test cases. SMILE did very well in the 2008 Competition as well. As the functionality of GeNIe and SMILE increased and their user population grew, maintaining the software has become increasingly difficult in an academic environment. We have decided to move the software development and maintenance outside of the university. In June 2015, Marek Druzdzel and Tomek Sowinski, a research programmer working with the Decision Systems Laboratory for around 15 years, created BayesFusion, LLC, and obtained an exclusive license for GeNIe and SMILE from the University of Pittsburgh. This move has led to even higher quality of the software and support. BayesFusion provides GeNIe and SMILE for business and industrial applications at a competitive price and continues to offer them to the academic community free of charge. We have worked with industrial partners for almost two decades and have shown that we can build high quality software and solve real problems. We offer professional solutions, based on cutting edge research results, to even hardest problems. 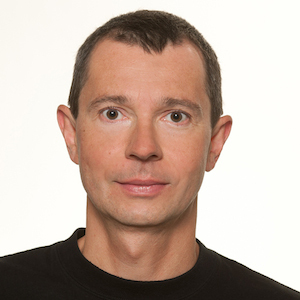 Marek Druzdzel is a tenured full professor in the School of Computing and Information, University of Pittsburgh. He is a graduate of the Delft University of Technology, The Netherlands (M.Sc. degrees in Computer Science and in Electrical Engineering) and holds a Ph.D. degree from Carnegie Mellon University, Pittsburgh, PA, USA. He has worked in the area of decision-theoretic systems for almost 30 years, has led the Decision Systems Laboratory, University of Pittsburgh, since its creation in 1995, and has been the principal conceptual designer of GeNIe and SMILE. Tomek Sowinski is a graduate of the Bialystok University of Technology (M.Sc. in Computer Science). He has worked at the Bialystok University of Technology, at Zone Software Consulting, and as an independent research programmer at the University of Pittsburgh. He has been the principal technical developer of GeNIe and SMILE and knows BayesFusion’s software inside out.